Homegrown BFLwool, Border Leicester, Mohair and Silk Noil are blended together with a 'lil bit of glitz for a unique and colorful spinning experience. 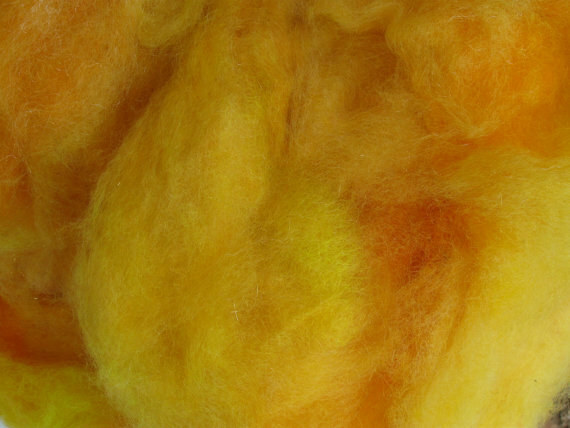 You will receive a 4 ounce bag of carded cloud ready for handspinning or felting. I must emphasize that this carded cloud is very easy to spin and flows like butter from your hands to the bobbin. The long staple of the fibers makes spinning this blend a very good choice for the beginning hand spinner. This colorway is also available in 8oz lots. For more or less please contact me for availability. 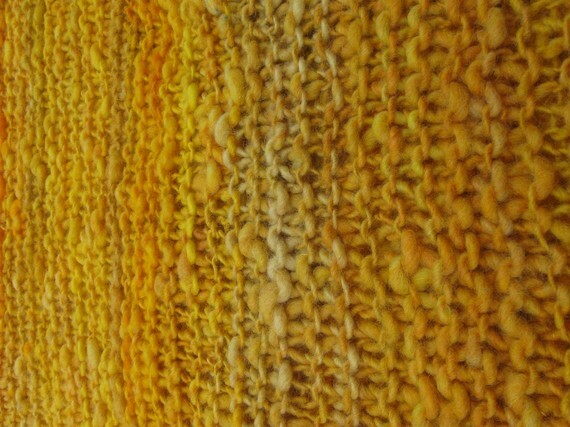 The pictures show the carded fiber for sale, a handspun-bulky skein of yarn spun from this blend, and the yarn knit into a garment.